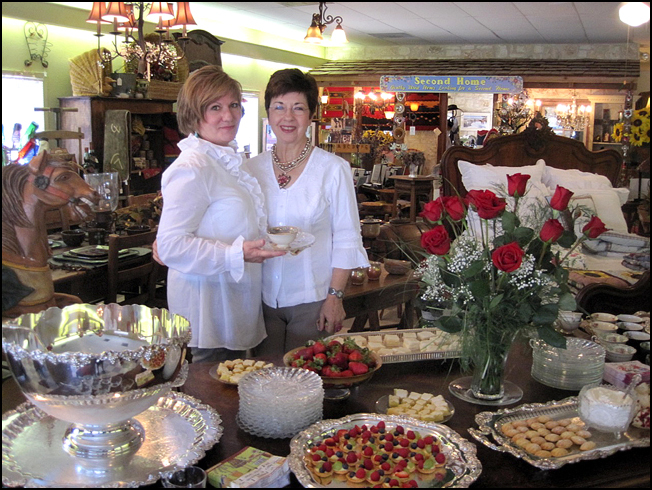 We officially opened our store in the small Hill Country town of Utopia on Memorial Day weekend, 2000, primarily as a French antique store. At that time, Laurel Waters was living in France, working in several fine restaurants in the Provence area, and was shipping containers of French country antiques to her mother Wanda Waters and her friends. 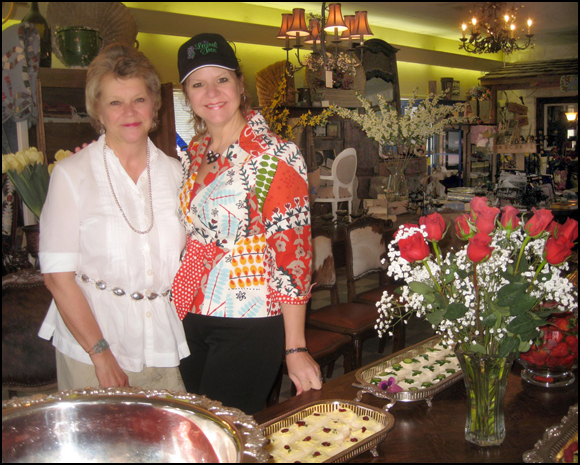 Mother and daughter decided to open the store in Utopia for displaying the antiques when Diane Causey, newly retired principal of the Utopia School, agreed to join them as store manager. Who would have thought that a French antique store would thrive in such a small rural town, but people began coming from all over Texas when new containers of antiques would arrive from France. Now—fourteen years and seventeen containers later—the store serves as a hub of activity for the town and has added numerous other “departments” such as books, cards, jewelry, ladies clothing, home furnishing accessories, handmade crafts, quilts, gifts, and collectibles to satisfy the desires of customers. Visitors to Utopia, as well as residents, delight in the store’s selection of goods created by people of Utopia —including books by local authors, wooden bowls, landscape and nature photographs and cards, baby clothes, t-shirts, soap, lotion, and lavender products. Jewelry sold in the store is primarily made in Texas, and the owners search for products made in the USA when buying at Market. Laurel Waters now owns and operates her own gourmet restaurant The Laurel Tree in Utopia, and Saturday shoppers can enjoy a seasonal lunch during their day’s activities. (For information on The Laurel Tree, visit utopiagourmet.com) All French antiques in the store are still hand selected by Laurel who travels to France once a year in search of antique furniture with warm patina and accessories with interesting histories . 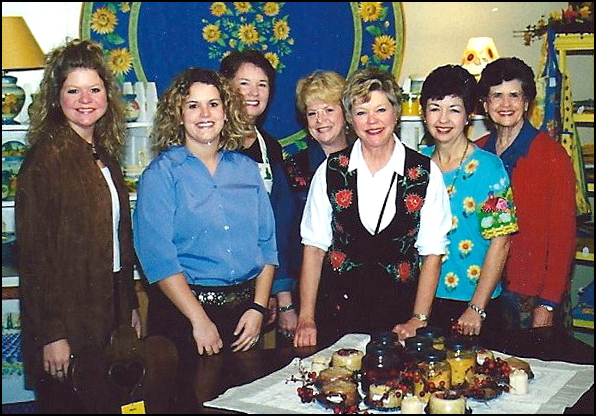 When we opened our store twelve years ago, we had only two goals in mind—to be a benefit to our small town and to have some fun. We are happy to report that we have succeeded on both counts and are still going strong!